The Institute of Sonology in Utrecht has earned its international reputation mostly for pioneering work in the field of computer-assisted algorithmic composition and digital sound synthesis by composers such as Gottfried Michael Koenig, Werner Kaegi, Paul Berg and Barry Truax. Anyone familiar with the music of these composers would have to admit that even within this ‘genre’ there were no stylistic dogmas. The stylistic range of Sonology’s artistic output becomes even broader when the work of other staff and frequent guests is taken into account, for example the compositions based on field recordings and audio-visual projects by Frits Weiland, the radiophonic works and pieces for tape and instruments by Luctor Ponse, the cybernetic tape compositions by Roland Kayn, or the experiments with computer graphics by Peter Struycken, to name just a few. And then there was Jaap Vink. Jaap Vink (Den Helder, 1930) studied engineering at first, but then became interested in electronic music. He attended courses in electroacoustics at Delft University of Technology and installed a pedagogical studio for electronic music in 1961 at the Gaudeamus Foundation in Bilthoven with the help of the Nederlandse Radio Unie (NRU). He was a staff member at the Institute of Sonology as a teacher in analogue studio techniques from 1967 until his retirement in 1993. 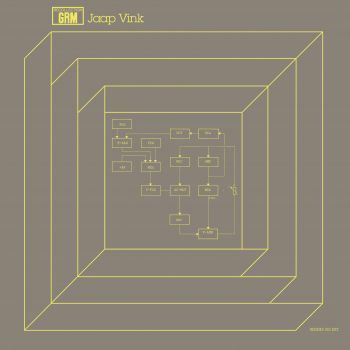 Jaap Vink always tried to break out of the periodicity of the sounds so abundantly available in the electronic music studio. Although his music was entirely produced with purely electronic sound material, its textures resemble the richness of orchestral sounds, or large natural sound-complexes, as a result of recursive processes. The density of this sound material increases and decreases by careful control of feedback networks with configurations of analogue tape recorders (delay lines), filters and modulators. It should come as no surprise that his work is being rediscovered at a time when a new generation of musicians has conquered the stage with modular synthesizer setups and ‘no-input mixers’, in which feedback of audio and control signals plays an important role. And although Jaap Vink’s music wasn’t performed live but produced and recorded on magnetic tape in the studio, it is exactly the human interaction with feedback processes that connects his work with the current generation of live electronic music performers. To some extent Jaap Vink’s pieces are indeed recorded live improvisations, and extending his patches and ‘rehearsing’ with them was an ongoing process. To see Jaap Vink at work in the studio was to hear the studio coming to life. After his composition Screen (1968) had been performed at concerts and released on the famous Electronic Panorama LP-set (Philips 6740 001), Jaap Vink was asked regularly to contribute to Sonology’s concerts in the Netherlands and abroad. It was for these occasions that his recorded studio improvisations were brought to the level of fixed compositions and given titles. The selection presented here gives an overview of Jaap Vink’s works made in Utrecht, ranging from his first composition Screen up to Tide 1985, produced during the Institute of Sonology’s last year in that city.